Whole Food or Conventional Multivitamins - Which is Better? Whole Food or Conventional Multivitamins – Which is Better? Home → Fertility Nutrition → Whole Food or Conventional Multivitamins – Which is Better? Whole foods are better for you than refined foods. There is little disputing this in any healing paradigm. We certainly don’t dispute this when it comes to boosting fertility health or when preparing for conception. So, why should it be any different when it comes to multivitamins? It shouldn’t! Whole food multivitamins are just that, multivitamins made from a variety of whole foods. Here’s a couple of examples: all the parts of whole oranges – rind, pulp, flesh and seeds – are used for vitamin C and whole beets are used for iron. Whole food multivitamins contain a variety of enzymes, coenzymes, antioxidants, vitamins, and trace minerals similar to any other multivitamin on the market. What makes them stand out, is that they also contain catalysts for delivery of these nutrients like fiber, proteins, carbohydrates, amino acids, beneficial bacteria and yeast. These all work together so that the vitamin complex can be properly utilized by the body. The body digests, absorbs, and assimilates whole-food multivitamins just as it would real foods, like a nutritious meal. To make the food-grade nutrient isolate easily recognizable and digestible by the body, it is cultured, meaning fermented or grown with catalyzing foods, yeast and bacteria. Culturing happens by adding the food-grade nutrient isolate to a base of fruits, vegetables, grains or herbs along with naturally-occurring bacteria or yeast. Three of these are Lactobacillus bulgaricus, Streptococcus thermophilus, and Saccharomyces cerevisiae. This process also makes the nutrient more concentrated. The bacteria and yeast are an added bonus, as they provide support for the body in other ways… For example, Lactobacillus bulgaricus naturally occurs in yogurt and is known to fight harmful bacteria in the human digestive system and boost the immune system. Can the yeast in whole food multivitamins contribute to yeast infection? The bad yeast/fungus involved in these infections are most often Candida albicans, C. tropicalis and C. glabrata. Consuming good yeast boosts the good bacteria (probiotics) in the body that then in turn fight the bad yeast, boost healthy gut flora and the immune system, and support the health of the digestive tract. A food-grade nutrient isolate + whole fruits, vegetables, grains or herbs + yeast or bacteria = “living slurry” or semi-liquid mass that is then slowly dried at low heat before being formed into the tablet that is swallowed. Conventional multivitamins on the other hand contain a variety of single vitamins, minerals and nutrients isolated from food, rocks, animals, etc., or that are chemically-made in a laboratory. These nutrients are not easily recognized by the body because they are missing important whole-food components, making them potentially toxic to the body. Nutrients taken from their whole-food state have lost their synergy – their ability to work together as a whole. They are missing the variety of micronutrients, catalysts, and enzymes necessary to aid the body in properly utilizing that nutrient. Synthetic, laboratory-made nutrients are made by using a variety of solvents and chemicals known to be toxic to the body. They often contain binders and fillers that can cause allergic reactions and gastrointestinal distress. Nutrient isolates are not easily utilized by the body because they are delivered in a state that is not how the body naturally receives it nutrients – from food. There can be risk of overdose of certain nutrients because of their concentration and delivery system. This may also lead to imbalances within the body if taken at high doses over long periods of time. New research has proven the benefits of long-term multivitamin-mineral supplementation and the reduction in incidents of death from cardiovascular disease in U.S. women. A 2015 study published in the Journal of Nutrition has shown a more than 35% reduced risk of death from cardiovascular disease in U.S. women who took a multivitamin-mineral supplement consistently long-term (greater than three years). We feel whole food multivitamins offer the greatest ability to deliver to the body easily-recognizable, key nutrients in concentrated amounts. 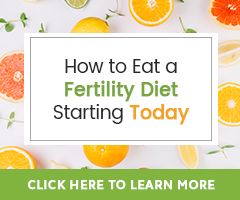 We know nutrition plays a key role in overall fertility and pregnancy health, and when you offer the foundational support of a whole food multivitamin with the most important parts of good reproductive health – Fertility Diet, exercise, cleansing/detoxification, emotional and spiritual health – true healing has a greater potential to occur. 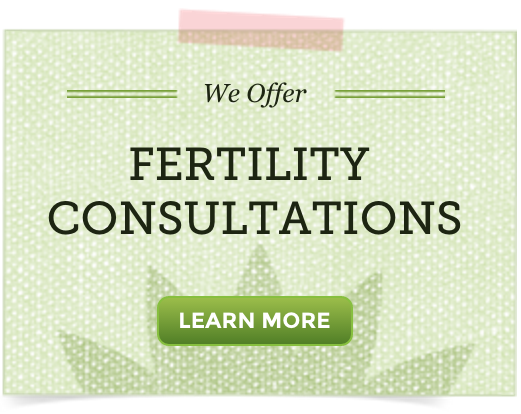 Think of a whole food multivitamin as part of your foundation for optimal fertility. Haas, E., & Levin, B. (2006). Vitamins. In Staying healthy with nutrition: The complete guide to diet and nutritional medicine (21st-century ed., pp. 87-90). Berkeley: Celestial Arts. MegaFood You’ll Like the Way Real Feels: Our Journey. (n.d.). Promotional literature.